When you start planning to sell your home, you know you will have to find a great agent, decide on a perfect listing price, and keep everything showplace clean. Real estate has its own language, though, which can quickly become confusing. Hopefully, this list of common real estate terms should help keep you from feeling too overwhelmed while selling your home. Agent: There are several types of agency. A buyer’s agent shows the property to the buyer and works with them through negotiations. 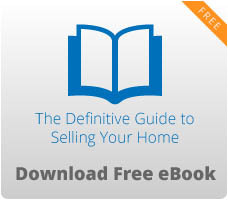 A seller’s agent lists the property and represents the seller. A dual agent means that either one agent is handling both roles, and both agents involved work for the same brokerage. Dual agency might leave one party unprotected and should be thoughtfully considered. Appraisal: An appraisal is the estimated current market value, assessed by a professional appraiser. Assessed value: This is what is commonly called the tax value of the property, generally set by the county assessor. As-is: Selling a property as-is means the seller will not fix any issues with the property. Brokerage: A brokerage is a real estate company, with agents and brokers that help people buy and sell properties. Closing: A closing is the final meeting in which documents are signed and the funds are delivered. Closing costs: These expenses are beside the price of the house, and can cover such things as taxes, title searches, loan fees and document fees. These are usually buyer’s costs, but this is frequently a negotiating point. The seller might be asked to pay part or all of these costs. Commission: The percentage of the sale paid to the listing agent’s brokerage. This is then split between listing and selling agent, and their brokerages. Comp or comparable: Properties that have recently sold, which are similar to the one being sold, and are used to help determine an appropriate price. Contingency: These are provisions to the sale that have to be fulfilled before the deal can close. These can be things that need fixed, or whatever the buyer thinks needs to be changed before they buy the house. Disclosures: Sometimes a property has issues that must legally be disclosed. The seller makes these disclosures and the buyer must acknowledge them. Earnest money: This is money the buyer gives the seller as a good-faith deposit, when they make an offer. If the offer is accepted it will be held in an escrow account until closing. Lockbox: A lockbox has either an electronic lock or keypad. It hangs on the doorknob and has a key to the property inside, so agents can show buyers the property without the owner being home. 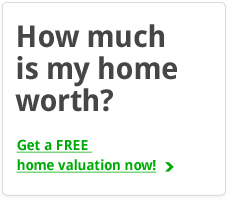 Market value: This is a reasonable estimated price for a property, in the open market. Pending: A property is pending when the sales contract has been accepted but has not closed. Quit-claim deed: These documents end the ownership of the property by the seller and pass that ownership to the buyer. Title search: Before a property is sold, the legal title must be examined to make sure the seller has the right to sell it.